Watch author Jennifer Evans discussing aphrodisiacs with Tasha Marks in this YouTube video for The British Library. Watch this promotional video via YouTube featuring Jennifer Evans and Sara Read, filmed at Tamworth Castle in spring 2017. Inside Versailles: Jennifer Evans appeared on an episode of the BBC's Inside Versailles in May 2017, with presenters Professor Kate Williams and Greg Jenner. Article by authors as featured in The i Paper: Polio is on the brink of joining a long list of historical illnesses. Jennifer Evans and Sara Read reveal five other gruesome ailments that struck fear but are thankfully no longer with us. You'll be £5.20 closer to your next £10.00 credit when you purchase Maladies and Medicine. What's this? From start to finish, what Evans and Read have given us in Maladies and Medicine is an opportunity to reflect on our collective achievements in the realm of healthcare: knowing the history of medicine helps us appreciate the modes of healing we have right now, and it makes us optimistic, yet critical, of its future. In a way, Maladies and Medicine is a highly-readable and lucid time-machine that takes us back to when medicine was in transition, on the way to a brighter modernity. By taking the trip in its pages, we can investigate the past to better inform and shape the future of medicine. The good thing is, time-travelling with books is much safer: there’s little to no risk of having your head drilled when headaches arise. But we can’t avoid accidents. Good thing we have a medical text in our hands to tell us what to do when the unfortunate happens. This volume provides a broad overview to health and healing in the early modern period, thus spanning from the early days of Henry VIII up to the early Georgians. One of the strengths of this book is its concentration on the types of illness suffered and the medical cures that might be offered. This book will be of use to the amateur who simply dips into historical research for interest through to the professional and academic historian. For those setting out to explore the history of medicine the clear and concise way which this volume is written means that it will lay a sound foundation of knowledge. For others this book will become a useful point of reference and returned to on a regular basis. by entrepreneurs. A few familiar images illustrate the work. Maladies & Medicine is engrossing. The authors more than fulfill their stated aim of providing insight into what it meant to be alive, thrive and survive in the era. Provides a fascinating and useful insight into how people perceived and attempted to treat disease in that era. Read it for: An excellent primer in early modern medicine. My bedtime read at the moment is the Poldark series, set in the late 18th century, and one of the principal characters is the young doctor, Dwight Enys. Some of the practices used by his older colleagues in the same profession would make your stomach churn, and those same practices are adequately described in this superb teatise on medical treatments and ailments by authors Sarah Read and Jennifer Evans. This is an essential piece of social history that may literally have you in stitches - if you haven't yet discovered the new BBC comedy Quacks, now is the time... and this is a wonderful book to fill you in on all those arcane practices as we started to develop modern methods of medical practice. Absolutely fascinating! While being quite gross (in fact, I highly suggest that this not be read while snacking), Read describes a full spectrum of symptoms and conditions caused by a disruption of humours, bile, blood, and phlegm; for example, purges to treat epilepsy help to sweat out fit-causing slime, phlegm crowding around nerves releasing 'animal spirits,' toothaches being caused by suppressed worms inside of teeth, the heat of someone's body baking stones in their kidneys, the discovery of Jesuit's powder or quinine, the difference between ulcers (tumors) and cankers (subdermal scabs), the influx of gout coinciding with the availability of port and fortified wine from Portugal, indicators and quarantine rules for the plague, and peeing on plants to gauge one's fertility. This head-to-toe guide to early modern medicine provides readers with an overview of the maladies and treatments people faced. It is clear that one's social class influenced one's chances of survival in many cases, but some diseases struck indiscriminately (even Elizabeth I was afflicted with smallpox). Of course, some treatments were so gruesome that perhaps it was better to hope for a quick death instead. Read and Evans also explain how the health landscape has shifted over the centuries; for example, during one week in 1665 (a plague season, no less) cancer and drowning accounted for two deaths each, but were outnumbered by over 350 deaths from gastrointestinal issues. Improved hygiene has limited our encounters with fleas, mites, and worms, while global trading and varied diets have made scurvy rare in developed nations. Yet childbirth continues to threaten women's lives, even with the advanced medical interventions now available. 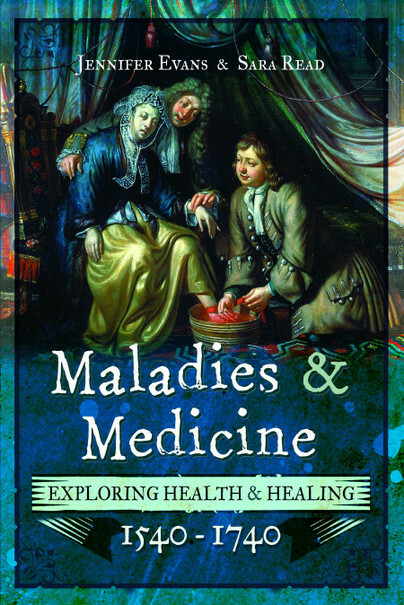 This book is a comprehensive read for anyone interested in medicine, as well as those seeking to better understand the lives and deaths of people in the early modern period and how they handled everything from mild ailments to terminal illnesses. This was an endlessly interesting book! I actually found myself pacing my reading so that I didn't just speed through it. Each chapter is divided up into a different illness, where we are given a great overview peppered with content from primary sources. This was a time period / subject that I didn't know too much about going in, and by the end I was sharing things I'd learned with my partner and people at work haha! I don't think I have any criticisms, aside from wishing it was longer since I enjoyed it so much! I would love to see the authors do a "Part 2" for all the illnesses and conditions that didn't make the cut into this book. This is a straight-up history book. While the authors certainly inject frivolity and humor into the book, this is meant more for the dedicated history buff, and not for the casual reader. Evans and Reed, while admitting to the books limitations in scope (it's a big topic), include a vast amount of information, conveniently divvied up by disease. The authors also delve into the differences between medical doctors, surgeons, midwives and other practicing women, and the unofficial medical practitioners. Each has their own origin and medical views, and it is curious to see when they agree, disagree, and borrow from one another. History buffs will find a lot of great information (and a lot of cringe-worthy knowledge) in this book. If you're interested in medieval history or medical history, this book is a great addition to your TBR. 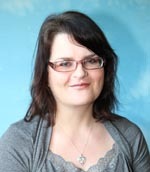 Jennifer Evans is a senior lecturer in History at the University of Hertfordshire. Her academic research is focused on the body, medicine and gender and covers the period 1550-1750. To date her research has examined the understanding of infertility and its treatments in early modern England.